Nearly sixty years after The Buffalo Bills made barbershop history in the premiere of The Music Man, a new show featuring a quartet has scheduled its New York theatre debut. 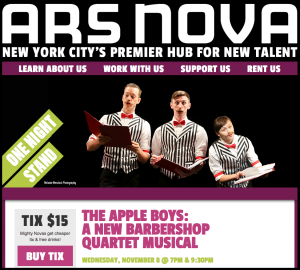 The Apple Boys: A New Barbershop Quartet Musical will premiere on Wednesday, November 8th at Ars Nova, a midtown theater known for presenting new work. (Sorry, both performances are already sold out!) Featuring an original score, the story is set at the turn of the twentieth century in Coney Island, where a strongman, a hotdog vendor, a roller coaster operator and an apple delivery man meet and discover the magic of barbershop harmony. The cast of four includes Tony-nominated actress Emily Skeggs (Fun Home.) You can view some highlights from the show on YouTube. 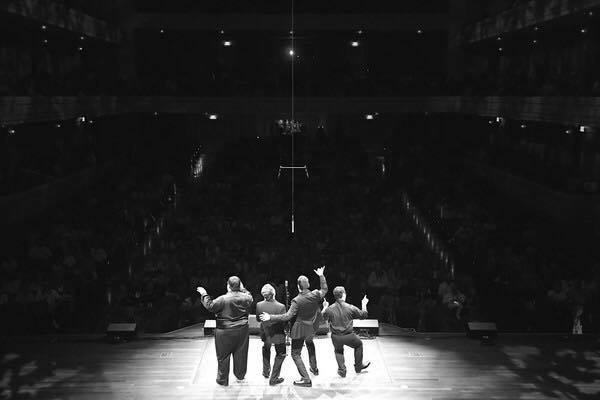 We’re always excited to see artists expanding the range of ways that barbershop harmony can be incorporated into new works. 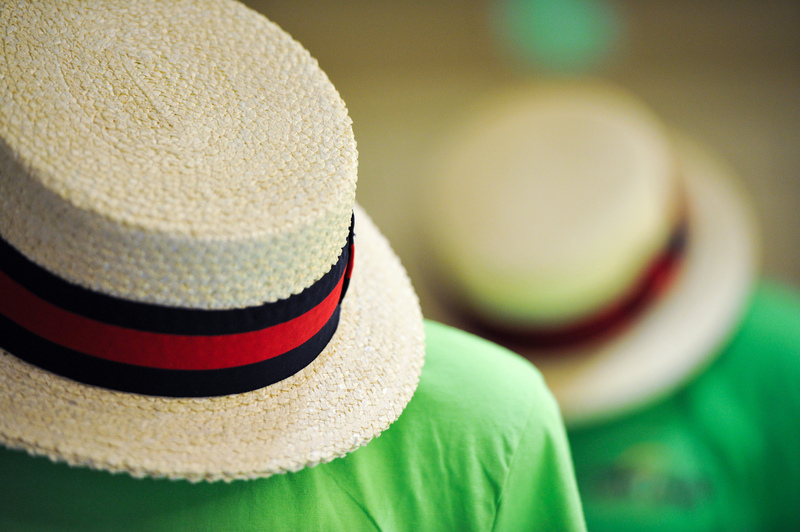 Recent years have seen multiple regional theater productions of a contemporary show about race, identity, and yes, barbershop harmony. As with many new theatrical works, the development budget for The Apple Boys is slight, and the producers would of course welcome your interest in the project.